Investing, in anything, requires diversification to maintain stable regular income. The recent RICS’ residential survey highlights the mixed regional performance of house prices and emphasises the need for diversification in property investment. Diversifying is the exact opposite of ‘putting all of your eggs in one basket’. The idea of investing the vast amount of your savings into a single company on the stock market sounds preposterous! A single stock is likely to see wild fluctuations in its valuation. However, if a wide array of stocks and shares in different markets can be purchased, this substantially reduces volatility for the investor. Similar to stocks and shares, we view property as an asset class that requires diversification. Purchasing a traditional buy-to-let property as an investment makes little sense in the current climate. For an everyday investor, diversifying investments across multiple property regions and sectors is challenging for three reasons. First, average house prices have been consistently rising faster than average earnings – this makes the prospect of purchasing vast swaths of property (needed to diversify) an impossibility for ordinary people. 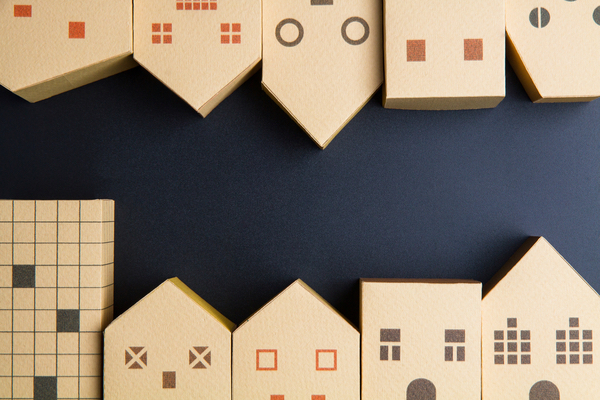 Second, it is now harder than ever to build a portfolio of property on your own due to recent rises in stamp duty and the impending reduction of tax relief on buy-to-let mortgages. Third, investing in property in different geographical areas, to achieve diversification, can be difficult to manage and administer. RICS’ latest residential survey highlights the mixed regional performance of house prices. Interestingly, this survey reaffirms our previous blog’s suggestion that house price growth varies substantially in different regions as a result of different variables. Further highlighting the need for investors to diversify across property market regions and sectors.I can’t afford to invest in buy-to-let anymore, what alternative is there? Read on…. Brickowner is able to aggregate smaller investors’ funds to purchase shares in property investments. Investments in property can experience capital growth and generate a regular monthly income through dividend payments. Smaller investors are able to access properties previously outside of their reach – for instance, large-scale high-return residential property requires extremely high minimum investments, but with a platform, these minimums can be reduced to £100. Additionally, for the first time, everyday investors can invest in commercial property, which being a different sector of the property market, adds to an investor’s diversification. Essentially, using a crowdfunding platform to invest in property allows for simple diversification because the minimum amount of funds required to invest in a variety of properties is greatly reduced. Therefore, everyday individuals can now purchase shares in a variety of property investments and gain greater diversification than a buy-to-let style investment.